With the passing of Michael Jackson, Beer Blogging Friday founder Stan Hieronymus and I have decided to dedicate next week's event to Michael's memory. His influence on beer journalism and beer appreciation is a great gift that he gave to all. Here's to The Beer Hunter. Just a week to go before the next Beer Blogging Friday. The Brew Zoo is the topic selected for The Session #7. The basic rule is that either the brewery or the beer must have a real live creature in its name. We will also allow beers with prominent animal label art (think Geary's Ale from Maine and its Lobster) to be added to the Brew Zoo. Why pick a whimsical topic like this for such a serious event as Beer Blogging Friday? I know I'm out of the edge on this one, but perhaps I am just a little bit concerned about the impact of global warming on the temperature of my beer and the resulting endangered species status of some hard to find animal brews. Has anyone seen an Emu Bitter lately? How about a 12-Horse Ale? I hear rumors of rare sightings of these brews, but could our critter beers be headed for extinction? That's right, I said it. Extinction. Don't think it could happen to your favorite brew? Extinction. It's real. My taste buds can hardly remember the last time they wrapped themselves around a Catamount Amber Ale from Vermont, Rhino Chasers Dark Lager from California or a Black Horse Ale from New York. I never even had the chance to gulp a Blue Hen Beer, Goat's Breath Bock, Jack Rabbit Pale Ale or Bubba Dog Beer. They are all gone. Extinction. Yes, it is real and some of our best critter beers are threatened. Consider next Friday your chance to fight back and load some of your favorite mammals, birds, reptiles, fish and other such critters on a virtual Noah's Ark of Beer. The process is easy. Go out and bag a critter beer and make some tasting notes. Post them on your blog, the email me the link at rick.lyke@gmail.com. I promise to take my zookeeper status seriously and do a complete round up of the posts so that everyone can marvel at the menagerie. Michael Jackson. Say the name and most people think of the King of Pop. 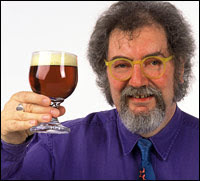 Say the name to anyone serious about beer, or whisky for that matter, and they think of the journalist whose books, articles and television appearances made it acceptable to have a beer with a gourmet meal. Today is a sad day for the drinks world. Michael Jackson passed away. He had revealed last year that he was suffering from Parkinson's Disease. Reports from England are that Michael died at his home earlier today. It is really impossible to overestimate the impact of Michael Jackson on the beer world. With his various books, including the landmark World Guide to Beer first published in 1977, Jackson took us on his beer journeys to breweries and distilleries great and small. The books kept coming, as did the Beer Hunter television show on public broadcasting, numerous magazine and newspaper articles, websites and DVDs. He even popped up on television shows as the guest of hosts like David Letterman and Conan O'Brien. Along the way he helped make both the beer and whisky world what it is today. His words literally launched millions of drinks by encouraging people to think about what they had in their glass. Michael was an ambassador for great beer and single malt. He brought them to life with his words and stocked our vocabularies with the tools needed to talk about Trappist ale, Islay malt and everything in between. I did not know Michael well, but I'm glad to say that I did meet him a couple of times. My first encounter with Michael was at the Great American Beer Festival a number of years ago. I walked and talked to him for a few minutes while we tasted samples from various breweries. He had a tape recorder in one hand and a tasting glass in the other, making constant notes into the device between talking to me and chatting with brewers and beer fans on the GABF floor. I've never hung out with a rock star, but after seeing how people reacted to seeing Michael Jackson approach their booth for a sample I know what it must be like. Folks pointed, some asked for his autograph. Others just shouted out "How you doing Michael?," like he was an old friend. And he was the best kind of friend because he taught us all how to enjoy some of the simple pleasures of life a little bit more than we would have if he had not been around. Michael responded politely to all who interrupted him on his journey around the GABF and kept taking notes along the way. There were always articles and books to fill. I saw Michael briefly twice during the Great American Beer Festival in Denver last year, but never had the chance to talk to him. He came into a Brewers Association beer and food pairing press event one afternoon, but stayed for just a few minutes. Then while heading out of town and stuck in the security line at the Denver Airport, I noticed Michael in a restaurant across the terminal. My view was from the side and behind, but it appeared to me that he was relaxing with a cup of coffee. He was too far away to shout a hello and leaving the line would have meant missing my flight. I was a bit shocked to read in the tribute to Jackson posted today on the All About Beer website that Michael was rushed from the airport that day with what doctors believe was a minor heart attack. In his final column for All About Beer, titled "Did I Cheat Mort Subite?" and dated August 22, 2007, Michael Jackson tells the story and gives us an idea of how he approached his health issues, with both a sense of reality and a bit of humor. Today the world lost its greatest beer writer. The only thing I can really do to honor the man is to have a pint of good beer. I think Michael Jackson is relaxing somewhere right now doing the exact same thing. There is no doubt that indulging in excessive amounts of alcohol can lead humans to do stupid things. When it comes to criminal activity, alcohol also usually makes it much easier for police to catch the crooks. If you don't believe me, here are four brief police blotter entries that have moved across the wires this week. You can start asking "What were they thinking?," now and avoid the rush. Port St. Lucie, Fla. -- A woman, 23, told police she really could not believe she was being arrested for stealing “the cheapest beer made,” as she and her male accomplice, 22, were being placed in a patrol car. The pair had removed a 12-pack of Natural Light Ice, which sells for $6.29, from a Cumberland Farms store at 2:15 a.m. The problem was the clerk had told them the store could not legally sell them the beer after 2 a.m. Police report the man allegedly got upset and started a disturbance. He grabbed the Natural Light, tossed a $10 bill on the counter, yelling an expletive at the clerk and pushing another shopper out of the way as the pair exited the store. The police found the couple later, but no beer could be submitted for evidence since it had already been consumed. Linwood, Kansas -- Police are investigating reports that a 29-year-old man repeatedly drove his car into the side of a local home after residents refused him a beer. A couple in the house say the man was intoxicated when he showed up at their home, so they refused to give him a beer and escorted him back to his vehicle. That's when the driver allegedly drove his car at the male resident of the home, who made it safely inside. The car struck the house. The driver pulled away and then backed his car into the house for emphasis. An arrest has not yet been made. Temple, Texas -- The reign of terror caused by the "Texas Beer Bandit" appears to be over with the arrest of a 17 year old. In three crimes the teenager is alleged to have robbed convenience stores of a case of beer each. Reports say the crook would enter the store, grab a case of beer and while walking out of the store throw a can or bottle at the clerk behind the counter. Police had plenty of store surveillance video to use in their investigation. The thief ended up in Bell County Jail waiting for someone to post $60,000 in bail. De Soto, Mo. — Three unidentified men are under arrest after an incident at Fish's Quick Stop. The store clerk says that a naked man entered the store wearing only a mask and proceed to do a hula dance. Police believe this was an attempt to create a distraction while another man allegedly removed a case of beer from the store without paying. Perhaps it was the quality of the dancing, but the plan did not work. The clerk called police and with the help of a license plate number jotted down by a customer the police arrested the dancer, the beer thief and the getaway car driver. The trio, ages 19-23, face shoplifting and indecent exposure charges. It looks like Molson Coors Brewing wants its Coors Brewing subsidiary to come out with a hit craft beer more than once in a blue moon. Beer distributors and company employees have been told the company formed AC Golden Brewing Co. in Colorado to make "above-premium beers." The company says it will use low key roll outs in hopes of finding another Blue Moon, a brand that is among the fastest growing at the craft end of the market. Coors also makes Coors Light, Killian's Irish Red and Keystone, but avoids connecting Blue Moon with these brands. AC Golden Brewing's efforts will be closely watched by craft brewers. Anheuser-Busch has been extremely active in rolling out craft-styled flanker brands in recent months. The larger brewers benefit from established distribution channels which can more easily obtain store cooler space and bar tap handles than small brewers. While the giant brewers are careful to not put major ad spending behind the brands, the process of consumer discovery of these new brands is greatly assisted by the fact that they end up in thousands of retail locations almost overnight. Tonhwa Grape Wine Co. Ltd. has agreed to pay $6.6 million to purchase a 70 percent share of King's Court Estate Winery of Canada. Tonhwa's decision to purchase a controlling interest in the Ontario vineyard will enable the Chinese company to tap into advanced icewine producing techniques. Tonhwa, founded in 1937, is based in Jilin province and already makes icewine. The European Union has put more than 18.3 million gallons of surplus wine up for bid to make bioethanol. The move comes during a continued agriculture crisis for the EU, which is trying to come to grips with over production of wine in the region. The wine is stored in France, Italy, Spain and Greece. The EU is accepting bids until Sept. 10. France, Italy and Spain are the largest producers of wine in the EU, which has been discussing proposals to remove vineyards to cut back production. The wine producers have faced stiff competition in recent years from wineries in America, Australia, South Africa and South America. To eliminate the surplus, the EU Parliament has made several payments to wineries to distill wine into industrial alcohol. A major political battle is expected later this year when the EU debates reform of farm policies regarding vineyards and the elimination of crisis distillation practices. Some winemakers argue that instead of paying to rip out vineyards the government should pay for marketing programs to sell more European wine on the world market. John Hickenlooper parlayed the name recognition and business knowledge that came from running one of the nation's most successful brewpubs into a winning bid to become the mayor of Denver. Now Hickenlooper has decided to sell off his interest in the business and focus on politics. 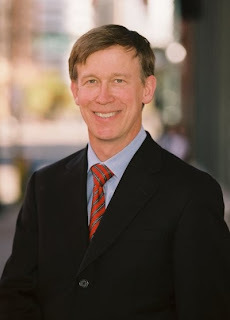 Mayor Hickenlooper founded Wynkoop Brewing Co. in 1988 and was a shareholder in Wynkoop Holdings Inc., which owned several other popular Denver restaurants. Hickenlooper sold his 40 percent share in the company, which had been in a blind trust, back to the holding company. The Wynkoop ownership group now includes senior managers and long term employees of Wynkoop Brewing and the other restaurants. Wynkoop is credited with starting the revival of the Lower Downtown (LoDo) section of Denver. The area is now one of the more popular sections of the city. Hickenlooper was first elected in 2003 and then reelected in 2005. Tuesday Tasting is a regular feature of Lyke2Drink that explores some of the best beers, wines and spirits on the market. This week we head to California to taste a wine named for a late actor. Celebrities with their names on drinks brands have become pretty common these days. Some are nothing more than marketing ploys. Not the Raymond Burr brand, named for the late actor who made the television characters Perry Mason and Ironsides household names. Burr and his partner, fellow actor Robert Benevides, first agrarian love was the cultivation of hybrid orchids. Sea God Nurseries produced orchids in Fiji, Hawaii, the Azores Islands and Southern California. The pair extended their efforts to grapes in in 1986 on land in the Dry Creek Valley in Sonoma. The first vintage came from the vineyard in 1990. The winery has won a number of awards, particularly for its big reds. 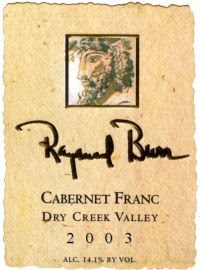 To create the Raymond Burr 2003 Cabernet Franc, winemaker John Quinones blended 5 percent cabernet sauvignon grapes with the estate grown cabernet franc grapes. the result is a rich, deep wine with blackberry and dark ripe cherry tones. There is a slightly smoky base to the wine that gives it a polished stature. At $38, the wine deserves a good steak or a hearty pasta with freshly picked ingredients. Hartsfield-Jackson International Airport in Atlanta is the world's busiest airport. In my experience the security lines are the longest and the terminals crowded and hot. Flight delays on some days are more common than on time departures. All of this travel fun has just become a little easier to stomach. Sweetwater Brewing will open a location today on Concourse B at the airport offering beer and food. The new Sweetwater Draft House & Grill will feature the Atlanta brewery's beers and pub fare. The brewery, founded in 1997, is opening the location in partnership with Concessions International, which runs food operation in nine airports. Sweetwater Draft House joins a growing list of airport beer bars that go beyond the standard mix of mega brews to bring some local flavor to thirsty air travelers. Drink Art: Nightlife by Archibald J. Motley Jr.
Over the weekend I was in Chicago and spent time with my Daughter, Brhea, at the Art Institute of Chicago and was blown away by the impressive and wide ranging collection. It reminded me of how often in museums from Florence to New York I have come face to face with depictions of alcohol in everyday life in the works of some of the world's great artists. So, as a new feature of Lyke2Drink we will start to showcase some of these pieces of art. You can never have too much culture! Archibald J. Motley Jr. was famous for his works showing black social nightlife in Chicago's Bronzeville neighborhood, home to more than 90 percent of the city’s black population by the 1930s. Nightlife is one of Motley’s best known paintings. 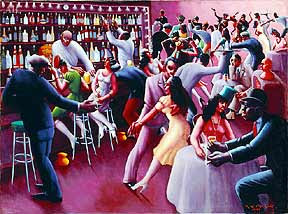 The painting was created in 1943 and shows a high energy club with dancing and drinks flowing. The city of Sandpoint, Idaho, is considering a 2 percent tax on all alcohol sold by the drink so that tourists visiting the community help pay for projects. Under Idaho law, resort communities with less than 10,000 residents can authorize local hotel, alcohol and sales taxes. Sandpoint has a 5 percent bed tax, which has generated $874,571 for the city in five years. Local politicians are pushing the drink tax as a method of tax relief for local residents. However, both tourists and locals will pay the drink tax. A renewal of the hotel tax and the new drink tax will be on the ballot during elections on Nov. 6. Weekend Watering Hole: Piece Brewery & Pizzeria, Chicago, Ill.
As a regular weekend feature, Lyke2Drink will visit some of the world's great watering holes. This week we find ourselves in Chicago enjoying some great beer and pizza. The last thing Chicago really needs is another pizzeria or a place to have a beer -- unless that place is the Piece Brewery & Pizzeria. Piece was founded in 2001 in Chicago's Wicker Park neighborhood. It is a great place to go with friends to watch a game or catch some music, but the pizza and beer is what brings people back. Piece brings together a passion for two things that have sustained many a man and woman: pizza and beer. The pizza is not the traditional Chicago deep dish variety. Instead, it is a thin crust delight they call New Haven-style. The toppings are fresh and flavorful, with the pizzas served steaming hot from the oven. The location is a former roofing company garage that is now home for the creativity of brewer Jonathan Cutler. The big open space with its skylight makes it a great afternoon stop to explore beer and brewing. In a relatively short period of time Cutler has put Piece on the beer map with a number of awards, including the 2006 World Beer Cup Small Brewpub of the Year Award. During my visit this weekend I tasted four brews. Each was very unique from the other and showcased Cutler's command of brewing styles and willingness to experiment on the edge. The beers ranged from Piece Baron von Awesome, a light wispy wheat beer with a citrus flavor bed, to the Piece Anniversary Ale, which had the aroma and flavor of the hop harvest in a big rangy brew. The Full Frontal Pale Ale was a cloudy amber ale with a good amount of hops and some spicy characteristics. The surprise of the visit was the brew labeled "Dark Bier." It appeared to be a basic dark larger with a thin head, but the flavor said so much more. Somewhere between a Schwarz and a Rausch beer, The Piece Dark Bier had a pronounced roasted malt flavor profile. 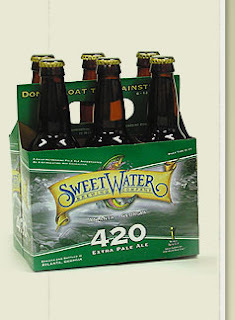 The malty sweetness is joined by a roasted, slightly smoky flavor combination. It is one of the more interesting beers I have had at a brewpub recently. Rick Nielsen, guitarist with the 1970s band Cheap Trick is a part owner of Piece and shows up from time to time to host some of the events. Piece is about a 15 minute cab ride from downtown Chicago or you can take the CTA Blue Line to the Damen stop. It is worth the trip. A Swedish research study suggests having beer or wine on a regular basis can cut your risk of developing kidney cancer. Scientists at Karolinska Institute in Stockholm have discovered a link between the consumption of more than two glasses of wine or beer per week and the risk of developing kidney cancer. Published in the British Journal of Cancer, the study tracked 855 people with kidney cancer and a control group of 1,204 cancer-free people. Researchers tracked intake of beer, wine, fortified wine and spirits. Professor Alicja Wolk said the risk of developing kidney cancer was 40 percent lower for people who consumed moderate amounts of regular strength beer and wine, compared with those who did not drink at all. The researchers believe some drinks have antioxidants and antimutagenics. Beer Blogging Friday, The Session #7 is just two weeks away. Mark your calendar for Sept. 7th and join the beer blogging fun. Remember, our topic for September is The Brew Zoo, featuring beers with animal themes. I ran across a bottle of Bell's Consecrator Dopplebock from Kalamazoo Brewing this evening. It's a beer with two goats' heads on the label, leading me to question whether the beer has to have a critter in its brand name or just the likeness of one on the bottle? The bock style complicates matters, since bock is German for billy goat. I'm going to stick to beers with animals in either their brewery or brand name, but I'll leave it up to the rest of my fellow bloggers to judge for themselves! Growing up in the Syracuse area one of the highlights of the end of summer was the New York State Fair, which opens today. The Fair provided a bridge from summer vacation to the start of school, and was the place that you could go to see everything from the world's largest pig to big name country and rock musical acts. Now you can add craft beer to the line up. The New York State Brewer’s Association has a booth at the New York State Fair. The group wants to showcase the 59 breweries in the state and educate the public on the economic importance of brewing. The booth is in the Fair's Horticulture Building and will explain the brewing process. In addition to information from breweries, the Madison County Hops Alliance will also have an exhibit. 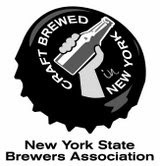 The New York State Fair Commercial Brewing Competition winners will be displayed and free 2-ounce samples of beer will be given to adults. The samples will be available from 4-6 p.m. and come from a different award winning brewery each day. That sure beats lining up for a baked potato. If anyone can turn whisky into gasoline it's the Scots. With the help of a grant researchers at Abertay University are examining how to make biofuel from spent grain. The researchers hope to find a way to reuse the residue from whisky and beer production. The Scottish scientists hope to find an economical way to create bioethanol, which burns cleaner than petroleum based fuel. Professor Graeme Walker will lead the year-long study, which has to overcome challenges in converting spent grain into fuel. The process is more difficult than producing bioethanol from virgin materials. Currently spent grain from stills is either used for animal feed or discarded. 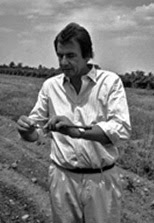 In 1976, the New York Farm Winery Act gave impetus to vineyards around the state and enabled the development of a force in the American winemaking industry. Now Gov. Eliot Spitzer has signed a bill that makes it legal for farmers to distill what they grow. The new law makes it easier for distilleries to get off the ground and will likely cause a number of wineries from Long Island to Lake Erie to immediately go into the brandy business. One apple farm near Syracuse, Beak & Skiff, says it plans to start making vodka using apples grown at the farm when the law kicks in in three months. The emergence of artisan distilleries across the U.S. is a throw back to a time when frontier farmers would distill so that they could more easily ship perishable farm commodities and had a cash crop to help fund farm expenses. The Attorneys General for 28 states, Guam and Washington, D.C., have criticized beverage companies marketing drinks with alcohol and caffeine, calling on the U.S. Alcohol and Tobacco Tax and Trade Bureau to investigate. The state legal eagles say the marketing for the drinks may be fraudulent and targets young people who buy nonalcoholic energy drinks. They also claim that it may be unhealthy to combine alcohol and caffeine in a single beverage. The Attorneys General point to products such as Sparks, Bud Extra and Liquid Charge as being among the offenders. Even though labeling for the drinks must be approved by the federal government, the Attorneys General want an investigation of the ingredients of alcoholic energy drinks and a ruling on whether they are properly classified as malt beverages. Having gone through the college selection process four times in recent years with my two daughters (yup, they both transferred from public state universities to private schools -- oddly one to a school founded by Franciscans and the other to a school founded by Jesuits, I can tell you that colleges love the rankings put out by various guides. 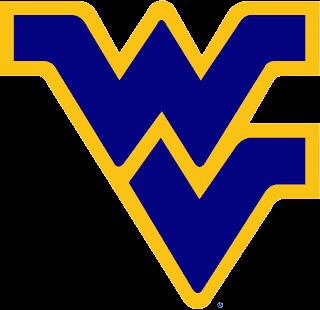 They all rank highly in something and they use these rankings in everything from advertising to the sales presentations they make to visiting students and their parents. One ranking that they try to distance themselves from is The Princeton Review's annual Top Party Schools list. The list measures a combination of survey questions concerning the use of alcohol and drugs, hours of study each day, and the popularity of the Greek system at each school. When a school ends up on that list they all cry foul and claim that rankings like this sort do not accurately reflect the overall college experience at the school. Well, you cannot have it both ways. So as a public service, Lyke2Drink is publishing this year's list. The Associated Press article on the USA Today website screams "Drunken Driving Deaths Up in 22 States." I'm not a math whiz, but that would suggest the deaths related to drunken driving might actually be down in 28 states. Sure enough, the statistics show that deaths are down overall and in 28 states, plus Washington, D.C. and Puerto Rico, according to the National Highway Traffic Safety Administration. Sadly, the data shows there were 13,470 deaths in 2006 involving automobile and motorcycle operators with blood alcohol contents above 0.08. In 2005, 13,582 people died in crashes involving legally drunk drivers. The statistics do not take into account other factors in the crashes or who may have been at fault in the accidents. The federal government plans to spend $11 million on an anti-drunk driving campaign called "Drunk Driving. Over the Limit. Under Arrest." The message for all of us should be to know our limits and to take the keys from friends before they drive drunk. Propaganda and half baked headlines, however, don't make the roads any safer. Beer festivals can be fun places to relax, have some laughs and consume great beer. In the United Kingdom one festival actually helps save lives. The Petersborough Beer Festival raises funds to buy rescue lifeboats. 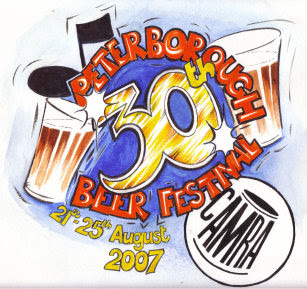 At the most recent festival $238,000 was donated to help fund the lifeboat Peterborough Beer Festival III, which was dedicated at the event. Yup, it is the third such life saving boat paid for by proceeds from the CAMRA event. They have been fundraising for this cause for years at the festival. The Royal National Lifeboat Association accepted the vessel, which is an Atlantic Class lifeboat. It will be used around the country while other boats are being repaired. The Rev. Charles Taylor conducted a service to bless the boat. Anyone who has spent time at a beer festival will tell you that they can be hazardous, but in Serbia they can be down right life threatening. From Belgrade comes the grizzly story of a 23-year-old Serb who either fell or climbed into a bear cage at the local zoo after attending an annual beer fest. The bears do what bears do when a human enters what little space they have to call their own. Oddly, nearby the half consumed naked body was the man's clothes lying intact inside the cage. Adding to the web investigators must untangle is the fact that also in the cage were several cellular phones, bricks, stones and beer cans. "There's a good chance he was drunk or drugged. Only an idiot would jump into the bear cage," Belgrade Zoo Director Vuk Bojovic is quoted as having told Reuters. I've never met Mr. Bojovic so it's hard for me to judge his IQ, but I'd say there is a good chance he is right about this one. Note to my fellow beer bloggers: If you plan to take part in The Session #7: Brew Zoo, please confine your research to your local beer bar or living room. We want a menagerie where no humans are harmed in the production of the blog. The Famous Grouse is the best selling blended Scotch in Scotland, but its makers want to keep pace with the trend towards more heavily peated whiskies. No, they are not changing the original. Instead they are rolling out The Famous Grouse Black. The new whisky is said to been more like Islay malts, which are stronger flavored, often smoky and with a hint of iodine flavor. The new brand aims to attract drinkers who like Islay malts, but are chased off by the price tag. The Famous Grouse Black will first roll out in Scandinavian markets, then in the United Kingdom. The move is not a sign of panic by Edrington, the brand's distiller. Last year sales of The Famous Grouse were up 5 percent to more than 3 million cases. Edrington also produces Macallan, Highland Park and Cutty Sark. Quick: Name the third largest vodka brand in the world. I'll spot you Smirnoff and Absolut, the top two selling brands. Finlandia? Grey Goose? Ketel One? Stolichnaya? Skyy? No, no, no, no and no. The answer is Green Mark vodka from Russia. 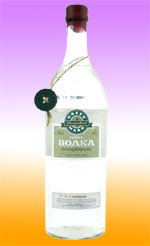 Green Mark is the best selling vodka in Russia, with 7 percent of the market, and is available in several locations in Europe, including Britain. And now it is for sale. The brand could generate $600 million at auction. It joins Stolichnaya and Absolut among vodka brands that have recently either changed hands or are under review for sale. Time for a reality check when it comes to wine in restaurants. Several recent restaurant visits made me feel like a $60 bottle was the least expensive bottle available in America. The reality is much different. Firestone Vineyards, which brought wine making to Santa Barbara County when it was founded in 1972, has been sold to the Foley Wine Group. The company said the sale will allow the Firestone wine brand to continue to grow. The sale includes the main Santa Ynez Valley production winery and the family brand name. The Firestone family will still run the Curtis Winery and Firestone Walker Brewing Co., which makes some fine British-style ales. The Firestone family owns the Jarhead Red and Rock Hollow wine brands. They also have a new winery in Paso Robles. Foley Wine Group owns the Foley Estate Vineyard and Lincourt Vineyards. The Brewers Association, which promotes the craft segment of the domestic beer industry, is singing a happy tune these days. They put out a press release and held a conference call for journalists yesterday to highlight the 11 percent growth rate during the first half of 2007 for the craft segment. There is plenty to celebrate. Several companies are leading the charge for the craft segment. Boston Beer Co. is setting a torrid pace, up 24.1 percent, while the Craft Brands Alliance (Widmer Bros., Redhook, Kona and Goose Island) is up 11.8 percent and Sierra Nevada Brewing is up 10.3 percent. 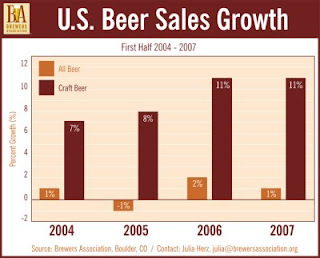 It is indeed a great time to be a craft brewer. However, it is also a good idea to look around and see that with the growth are hints of consolidation among craft brewers, not just in terms of mergers, but also in the form of marketing and distribution clout. The big brewers are not satisfied to sit on the sidelines while small brewers tap the consumer trend for craft brews. The Craft Brand Alliance is an alliance because of Anheuser-Busch's investments in each brewery. Also, shelf space for smaller craft brands is under pressure from specialty brands from the major brewers. The Brewers Association has a narrow definition of craft beer. They don't count Blue Moon Belgian White Ale (up 69.8 percent) or Leinenkugel Sunset Wheat (up 269.7 percent) because these brands come from large brewers whose core brands fall into the domestic premium category. Most consumers really don't look at it the same way. Some of the newly released brand from the breweries that are growing like gang busters, like Miller Chill and Landshark Lager, also fall outside the craft beer rankings. These are hot brands right now. While it looks by all measures to be a record setting year for craft beer, the success of some brands may change the overall look of the market. Samuel Adams' success comes at the expense of others in the category. It is not necessarily bad that a brand like Blue Moon from Molson Coors is growing like a wild fire. It helps bring new consumers into the craft beer world. It also means that every six pack sold is a lost sales opportunity for a smaller company fighting for a place in a grocery store cold box or a tap at a local ale house. Craft brewers are just going to have to do a better job at what they have been successful at during the last quarter century -- and they will have to do it with more competitors trying to do the same thing. An odd sort of dance between fact and fiction is playing out in California this week. The State Board of Equalization (SBE), California Controller John Chiang and a number of groups that oppose alcohol or want to fight underage consumption all want us to believe they have discovered the answer to youth in the state getting buzzed on malternatives. By a 3-2 vote, the SBE took the step to reclassify drinks like Smirnoff Ice as a liquor, rather than a beer. The result is the tax on what some groups call alcopops will jump from 20-cents a gallon to $3.30 a gallon. Never mind the fact that these beverages are malt based and carry an alcohol by volume level that is close to most beer -- not 80 proof vodka. One analysis of the situation computed that the reclassification will increase the price of a 12-ounce malternative by 29-cents. That's right, California officials want us to believe that 29-cents is the answer to teenage drinking issues in the state. They are supported by propaganda spread by the neo-Prohibitionists at the Marin Institute. That group claims the new tax will cut malternative sales by 35 percent. Presumably, the Marin Institute wants us to believe that more than a third of sales for Mike's Hard Lemonade, Zima and other brands come underage consumers and it will all end overnight. Just where will these newly sober teens turn? I doubt the answer is green tea. So once the SBE and the Marin Institute tracks them down -- perhaps in the beer section -- expect the "tax them and they won't drink" logic to crop up again. And, if they still long for the flavor of a Seagram Mellon Smash, they will still be able to buy the products in grocery stores because the California Department of Alcoholic Beverage Control is not acting to reclassify the beverage. If they did, consumers would have to go to a liquor store to buy them. What's really going on here is that some regulators have found an easy target: Malt beverages with brand names usually found on vodkas, rums and whiskeys. The logic is impecably governmental. I bet some of these jokers think the Golden Gate Bridge is made of real gold. In the end it becomes a question of tax revenues for the state. California stands to make $41 million more in taxes from the switch. The new tax still has to go through several administrative rubber stamp sessions and will likely hit sometime next year. There are two stories in the news today that speak volumes about where we stand as a nation when it comes to the basic right to have a cold beer and relax with friends. The first example comes from the state of Washington. The Clark County Fair had a beer garden this year for the first time. Now the local sheriff and a county commissioner want to make sure it never happens again. Was there big trouble created by drunken rowdies at the fair? Nope, not a single arrest. Lew Bryson over at Seen Through A Glass does a great job illustrating the hypocrisy of these government officials. As the saying goes, all it takes is a couple of jerks to spoil the fun for the rest of us. The other example comes from Alabama. Happily, the people of Athens, Ala., were given the right to speak through the ballot box when it came to attempt by anti-alcohol groups trying to push a return to Prohibition on the community. Athens had been dry until 2003, when local residents voted to repeal Prohibition in the community. This attracted some restaurants to the community and gave locals a place to go so they did not have to travel to neighboring towns for a drink. However, the voice of the people in favor of alcohol sales was not good enough in the eyes of some local ministers and a few activists in the community. They circulated a petition to force another vote. I think they must be less than pleased with the result. Athens residents supported alcohol sales by a landslide -- 68 percent of the vote -- 4,288 votes to 2,030 votes. These are just two cases that show how in many places in America there is a thin line between wet and dry. Given the chance the neo-Prohibitionists will pounce. They would love to return to the 1920s when you had to break the law to have a drink. Don't let anyone tell you that it cannot happen again. Just ask the people in Clark County, Wash., and Athens, Ala.
Matt Brewing of Utica, N.Y., has announced a deal that will make the company the exclusive marketer and distributor for Lake Placid Craft Brewing's line of Adirondack-themed brews. The agreement has an option clause allowing Matt to buy Lake Placid Craft and its brands. Christopher Ericson founded the company in 2001. Lake Placid's brands include Lake Placid Ubu Ale, Lake Placid India Pale Ale and 46'er Pale Ale. The deal would involve the company's Plattsburgh location and Ericson would continue to operate the brewpub in Lake Placid, the home of the 1932 and 1980 Olympic Games. The move unites Matt's Saranac brand with the Lake Placid brews. Matt plans to start producing Lake Placid Craft brand's in Utica at some point during the next year. The company would then use it distribution network to spread the beers around the Northeast and elsewhere. Matt Brewing holds fond memories for me. First of all, it was my Father's favorite beer, especially while fishing on Oneida Lake or the St. Lawrence River. When I came of age in Upstate New York, before the era of brewpubs hit the east, the brewery was my "local" just a few exits down the New York State Thruway. And, the advertising agency I work for, Eric Mower and Associates, had the Matt Brewing account for a number of years back in the 1980s and 1990s. I was on the team that named the Saranac brand -- Matt had been planning to call the brew Freeport USA. The late F.X. Matt II was a true gentleman and a huge proponent of small brewers in America. It was a fun piece of business to handle. It helped that the brewery also made some pretty good beer. Tuesday Tasting is a regular feature of Lyke2Drink that explores some of the best beers, wines and spirits on the market. This week we crack open three beers that we brought back from Kingston, Ontario. The Beer Store is Ontario's solution to a beer drinker's basic needs. There are tons of offerings from both Molson and Labatt, with a few other brands tossed in for good measure. It is a highly efficient operation, if just a little spartan and a tad bit expensive thanks to the taxes on alcohol in Canada. You enter through a door on the right, bottles are displayed on a wall with pricing for six packs, 12 packs and cases. You place your order and pay a clerk at a counter, who announces your selections through a microphone and your beer magically rolls down a conveyor belt. You collect your prizes and exit out a second door. I think the bureaucrats who set up this operation must have studied retail marketing in Bulgaria during a time when the Iron Curtain was still firmly in place. Molson Stock Ale: I remember drinking this beer during beer runs to Canada while on summer break from Syracuse University in 1979 and 1980. At the time, it was one of my favorite Canadian beers. My memory is that it delivered a bit more of a hop punch than Molson Golden or Molson Export. While I find the current Molson Stock Ale to be very drinkable and perfect for a hot summer day near the water, I think Molson may have cut back on the hops a bit and smoothed the edges off this brew -- or maybe my edges are just a little rougher. It feels much closer to the rest of the basic Molson range, which is too bad. Waterloo Dark Beer: This dark larger is soft and refreshing. It is similar to a German schwarzbier in its light and faintly sweet flavor. The color of the beer might suggest a more robust brew, but this has some nice subtle malty notes that are worth experiencing. 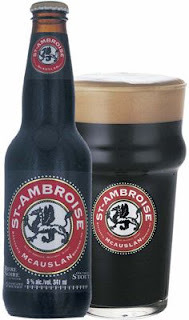 McAuslan St. Ambroise Oatmeal Stout: This beer pours rich and thick, with a tan head that lasts long into the drink. Good coffee and cocoa notes, with a touch of roasted grains in the beer. This beer is perfect to go with a hearty meal or to sip during an evening conversation. It ranks among the best that I have had from Canada. The credit for the content of this post goes to a good friend, J. Barron Boyd, Ph.D., a political science professor at LeMoyne College in Syracuse, N.Y., and Director of the Center for Peace and Global Studies, and Director of the International Studies Program at the school. He is one of the more learned people willing to hoist a pint with me, which may cause some of you to question his judgment. Still, this is interesting stuff, so read on. In many places around the world alcohol is important to religious, cultural and business ceremonies. Patrick McAllister has published a book based on years observing these practices in South Africa. "Xhosa Beer Drinking Rituals: Power, Practice and Performance in the South African Rural Periphery" (Carolina Academic Press, 355 pages, $45.00) examines beer brewing and drinking rituals in rural South Africa. McAllister, an anthropologist, looks at changes taking place in the African society of the Eastern Cape during a 22 year period and how beer rituals are used as a buffer against greater changes taking place in South Africa. McAllister found ritualistic beer drinks often held for returning migrant laborers. The beer is made from a porridge of maize and sorghum, requiring people to raise grains for this purpose. The story of Xhosa Beer drinking rituals actually traces male labor migration and its impact on rural communities and families. The beer rituals are seen as a way to symbolically translate the earnings of migrant workers into social capital. The ceremonies are part hospitality and part a sign of a strong family unit. According to McAllister, workers returning with funds to support their families are praised and those without savings are criticized. Sounds like payday in many American communities. Around Ireland, England, Scotland, Wales and the Isle of Man there are thousands of ancient sites called Burnt Mounds or Fulacht Fiadh. The horseshoe or circular shaped sites have a number of similarities. The sites feature mounded soil that creates ditch like areas. There is a fire pit marked by large amounts of charcoal residue. Broken stones appear to have been heated and used to warm water. Carbon dating indicates some of the sites date to 1500 B.C. and were used for hundreds of years. Archaeologists and historians have long debated the use of these site. Some think they are some type of communal cooking venues. Others suggest they could be bathing pits or crude steam baths. Now two Irish researchers claim they have discovered the true use for the sites: ancient breweries. Billy Quinn and Declan Moore believe Bronze Age man was a fan of beer. The pair recently recreated what they believe took place at the sites. Quinn and Moore brewed for three hours and then waited three days for their ale to ferment. The experiment is covered in an article in the next issue of Archaeology Ireland. If true, the research finding would explain one of the most common ancient sites in Ireland, where 4,500 Fulacht Fiadh have been documented. One of the icons of the Finger Lakes wine scene, Hermann J. Wiemer, has sold his winery to his winemaker, Frederick Merwath. Wiemer Riesling is recognized among the best in North America and the 65-year-old German-born vintner is credited with playing a major part in building the worldwide reputation of Finger Lakes wine. Merwarth, 29, takes over the 15,000-case winery that was started in 1979 at a time when most wines in the region were made from Niagara, Cayuga and other non-vinifera grapes. He has worked with Wiemer for the last six years. My wife, Sandy, and I were lucky enough to meet Hermann Wiemer during one of our first visits to the Finger Lakes in the 1980s. We were impressed by the quality of his wines, along with his commitment to building a presence for Finger Lakes wines on a world level. His winery is still the most orderly and clean winery, distillery or brewery that I have ever toured. Besides riesling, Wiemer makes some pretty solid gewurztraminer, pinot noir and sparkling wines. Wiemer Dry Riesling has won the Governor's Cup twice as the state's top wine. As if on cue immediately after the animal theme of The Session #7 was announced, SABMiller and Asia Pacific Breweries (APB), a subsidiary of Heineken, have decided to fight it out over the use of tigers as beer brands in India. SABMiller acquired the Bengal Tiger brand as part of its 2001 purchase of Mysore Breweries of India. Heineken's APB now has plans to sell Tiger, a brand made in Singapore and shipped to 70 countries, in India. SABMiller thinks that will confuse consumers and damage the Bengal Tiger brand. The cat fight is headed to Delhi High Court. Wine exports from Australia recently hit 800 million liters for the first time in a 12 month period, reaching $2.56 billion annually. The Australian Wine and Brandy Corporation says the figures from the August 2006 to July 2007 represent a record for the nation's vineyards. The 8 percent growth in exports reflects a trend by Australian wineries to focus on premium wines. These wines are boosting North American sales. Britain is the largest export market for Australian wines. Anti-alcohol advocates in Anchorage, Alaska, say a 10 percent tax at the wholesale level on all alcohol sold in the city will help curb public drunkenness. A group headed by the former leader of the local Mothers Against Drunk Driving chapter wants to get the tax on the ballot for the next election cycle. The group has already lined up the support of Mayor Mark Begich and other politicians. The group says the tax would raise $10 million to $12 million annually, which they claim would be directed to fund additional police and to help people with alcohol problems. The Anchorage Cabaret, Hotel, Restaurant and Retailers Association says the tax is too high and they will fight the measure. The businesses have initiated several programs, including free rides home for people who have consumed too much alcohol. Anchorage voters rejected an 8 percent sales tax on alcohol in 1994 and 1995. An attempt to get a similar measure on the ballot in 2002 failed when supporters could not obtain enough signatures. Since 2002, Alaska has had a 10 percent drink tax. Hobsons Mild is the 2007 Champion Beer of Britain. The announcement was made at the Great British Beer Festival, which runs through Saturday at Earl's Court in London. Hobsons Mild beat out hundreds of beers from all over the United Kingdom for the honor. Mighty Oak Morland Gold was awarded second place, while Green Jack Ripper was third. Hobsons Brewery, located in Cleobury Mortimer, a country town west of Birmingham, opened in 1993. The brewery concentrates on making a range of traditional British beers. Hobsons Mild is a 3.2 percent alcohol by volume beer that uses chocolate malt to create a flavorful dark mild. Tuesday Tasting is a regular feature of Lyke2Drink that explores some of the best beers, wines and spirits on the market. This week we try a new whiskey release that combines some of the best that Kentucky and California have to offer. The good folks at Brown-Forman are trying some interesting things with their Bourbon brands. I have previously written about their Old Forester Birthday Bourbon efforts and they have just released the second in the Woodford Reserve Master's Collection line up. Last year it was Woodford Reserve Four Grain, a highly accalaimed product that was one of my favorite spirits products of 2006. This year they have rolled out Woodford Reserve Sonoma-Cutrer Finish. Happily, I was able to obtain a tasting sample of this limited bottling. Only 900 cases of this $89.99 a bottle whiskey were made and, like the Four Grain, it should sell out fairly quickly. The distillery is shipping the product to just 17 states and Washington, D.C.
Bottled at 86.4 proof the Bourbon is first aged in new charred oak barrels, then finished in barrels that were previously used to age Sonoma-Cutrer Chardonnay. The result is a very smooth drink. There is a bit of honey and wood in the nose, that finishes with some smooth oak, a touch of butterscotch and even hints of roasted almond. This offering in the Master's Collection is not as assertive as the Four Grain release, but it is attractively mellow. Brown-Forman is following the lead of several Scotch distilleries that have released special wood finishes. This wood finishing practice allows distillers to experiment and find niches to attract new customers. For consumers it offers a lesson in the importance of wood barrels of the finished spirit. A distillery in the northern Scotland town of Wick that already provides heat to homes will soon provide power for a local hospital. The environmentally friendly power supply comes from biomass fuel used at the Pulteney Distillery. Excess thermal energy at the distillery is boosted to a higher level in a wood chip boiler. Long range plans include expanding the project to include several public buildings in the town. Could Alabama City be Headed Back to Prohibition? Voters in Athens, Ala., will go to the polls on Aug. 14th to decide if the city should stay wet. As strange as it sounds, opponents of the legalized sale of alcohol were able to generate enough petition signatures to get a return to Prohibition on the ballot. You could not legally buy a drink in Athens until December 2003. Since then, those in favor of alcohol sales say taxes on booze have generated about $500,000 annually for city government and local schools. They also claim it has helped attract restaurants to the town. The Athens-Limestone Quality of Life Committee, which is headed by retired Church of Christ minister Jim Bowers, says alcohol destroys families and causes crime. Boston Beer Buying Brewery Near Allentown, Pa. In order to try to keep pace with growing demand for its Samuel Adams brand, Boston Beer Co. had been reviewing plans to build a new brewery in Freetown, Mass. The company has decided to scrap those plans, which had an estimated cost of more than $200 million, and instead purchase a Pennsylvania brewery that Diageo was using to make Smirnoff Ice malternatives for $55 million. The plant, located outside of Allentown and visible from I-78, has changed hands a number of times over the years. Shaefer, Stroh, Pabst and Diageo have all owned it. It will add 1.6 million barrels to Boston Beer's capacity and provides easy access to major markets such as New York, Philadelphia and Washington, D.C.
Boston Beers sales were up 17 percent in 2006. The company said the cost of building a new plant continued to grow as steel and equipment costs have increased. The company has a small brewing operation in Boston and owns a brewery in Cincinnati. The Samuel Adams brand has also been contract brewed at several locations over the years. Greg Clow at Beer, Beats & Bites out of Toronto is the host for The Session #6. After ruminating about the quality of fresh produce at local farmer's markets in his city this summer he came to a topic near and dear to the women in my life: Fruit beer. I enjoy fruit beer, but my wife, Sandy, and our two daughters love fruit beer. Sandy is not a huge fan of beer bars or brewpubs. However, I know my visit will always last a little longer if they have a framboise or kriek beer available. We've tracked down some classics over the years and some odd ones -- like pineapple and banana. I like fruit beers as a change of pace and consider them to be one of the great side bars to the story of beer. The world is a better place because of brews like New Glarus Wisconsin Belgian Red, a cherry flavored beer that inspires lines at beer festivals and beer runs to Wisconsin. From blackberries to passion fruit, brewers are experimenting with fruit beer. Some are subtle and some are full of fruit. Some are sweet and some are tart. There is room for all of these interpretations, but fruit beer drinkers tend to be very opinionated. Unlike the gradations of an IPA that generate friendly conversation, my experience with fruit beer is that it is often a thumbs up or a thumbs down experience. You either love it or are left wondering why the brewer even wasted their time, and while you are thinking that the person next to you has a diametrically opposed opinion. I try to go with the flow and recognize what the brewer was trying to accomplish and understand if they wanted to make a fruit forward beer or if they wanted the fruit to just be one note in the flavor symphony. With that in mind, since learning of the topic for the August edition of the session, I've been on the look out for fruit beers. The following tasting notes were compiled during sessions in Saratoga Springs, Chicago, Atlanta and Charlotte. Blue Point Blueberry Ale: This golden color brew was enjoyed on draught and had a slight hint of fruit in the nose and the essence of blueberries in a laid back flavor profile. The brewery uses 132 pounds of blueberries per batch. Dogfish Head Black & Blue: This 10 percent alcohol by volume Belgian-style strong ale is hazy gold in color and uses both blueberries and blackberries. The berry flavors come across very subtly and make this draught an inviting way to spend a summer evening. Dogfish Head Festina Peche: A Berliner Weisse style summer seasonal this draught is a bit hazy and has a nice peach flavor. It is neither too subtle or overdone. It is right on target and refreshing for a hot late afternoon beer. Founders Rubaeus: A malty draught with plenty of fresh raspberries. Founders brews Rubaeus adding fresh raspberries at five different stages of the brewing process. The beer's 7.0 percent alcohol by volume is cut nicely by a subtle tartness. Goose Island Strawberry Gold: This draught (pictured) was cloudy, with a thick head that caught bits of fruit. The strawberry flavor was clearly there, but the beer was not overly sweet. A change of pace from most fruit brews. La Choulette Framboise Farmhouse Ale: This bottled Biere de Garde from northern France is deep, dark red. The flavor notes of raspberry are there, but this is a dry beer that has hints of roasted barley in the taste profile. If you think some fruit beers are way to over the top and sweet, you need to try this beer. St. Louis Framboise: From Van Honsebrouck Brewery in Belgium, this lambic is a bright red color and even has a pink head. The initial sweetness is balanced somewhat by a tart kick. A bit on the fizzy soda side for a draught, but refreshing. Saranac Pomegranate Wheat: I found this brew from Upstate New York to be much more enjoyable on draught than the previous bottled version I had tasted. Golden colored with a slight amber haze, the beer had a light fluffy head and a touch of sweetness. The nose was flowery. Sea Dog Bluepaw Wild Blueberry Wheat Ale: This bottled brew from Maine has a wafting blueberry nose and a crisp golden color. The flavor is a nice balance of good blueberry flavor cut by the wheat beer characteristics. Sweetwater Blue: This light gold draught ale had a thin head and the aroma of blueberries. The blueberry flavor was in the background on this beer, but clearly present throughout. Unibroue Ephemere: From Quebec, this 5.5 percent alcohol by volume draught delivered an extremely fresh apple crispness in a golden colored package. The 2007 New York State Fair Wine Competition judging was recently completed. All of the wines judged were from New York vineyards. Medal winners in the competition will be poured and promoted at the annual State Fair, held near Syracuse at the end of August.